This Donut Party Will Make You Crazy For Donuts! So many incredible parties were added to Catch My Party, including a fun donut party. 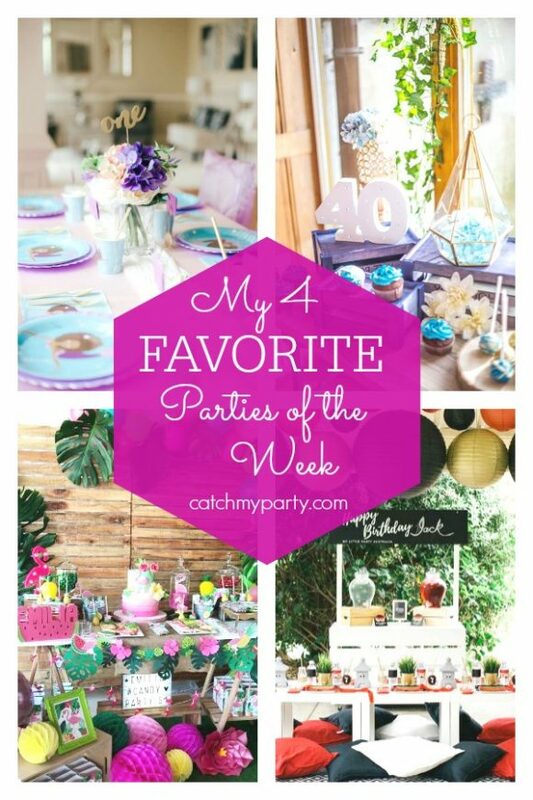 They are such a delicious theme that you'll be mouth-watering once you see this party. Be sure to check out my other 4 favorites this week for great ideas and inspiration. Ready to Get Happy with This Woodland Baby Shower and More?! Once again, lots of marvelous parties were added to Catch My Party, including a magical woodland baby shower. Woodland baby showers are really popular on our site. They are a wonderful theme if you love cute woodland animals and are looking for a rustic feel for your party. Feast Your Eyes on This Amazing Mermaid Birthday Party and More! 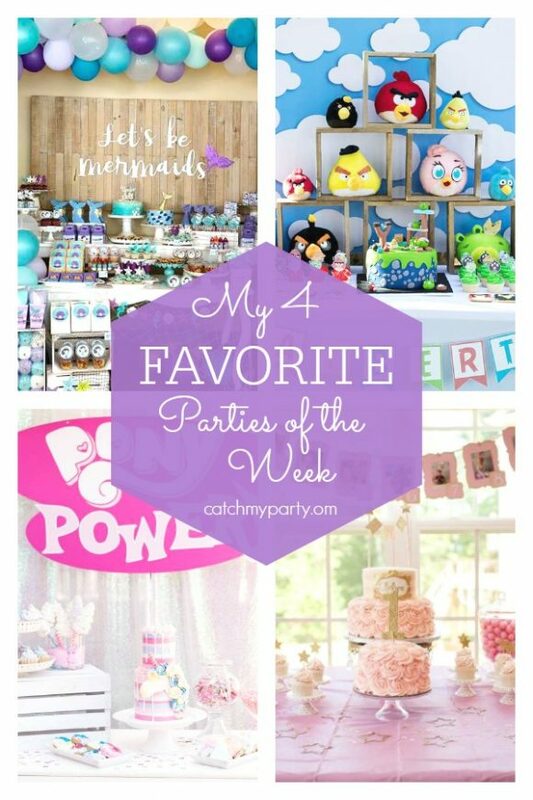 This week lots of gorgeous parties were added to Catch My Party, including this wonderful mermaid birthday party, that I just had to add to my 4 favorites. 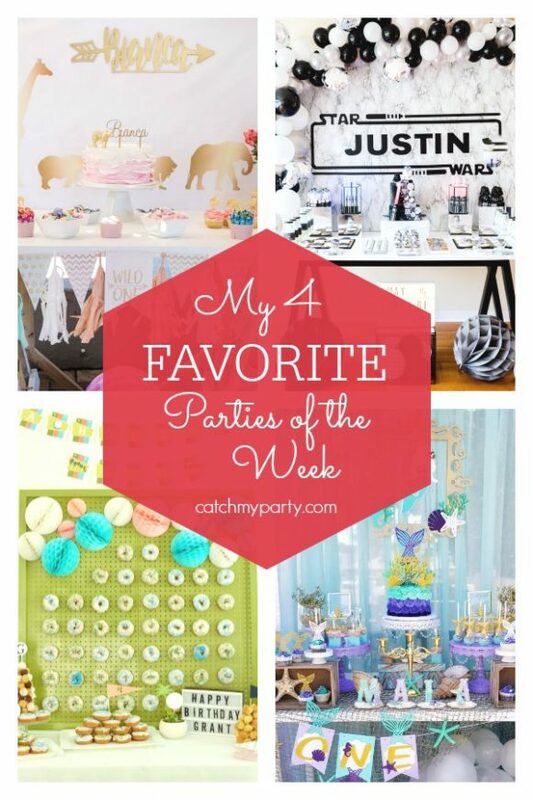 Do make sure you take a look at the other parties I added to my 4 favorites of the week. 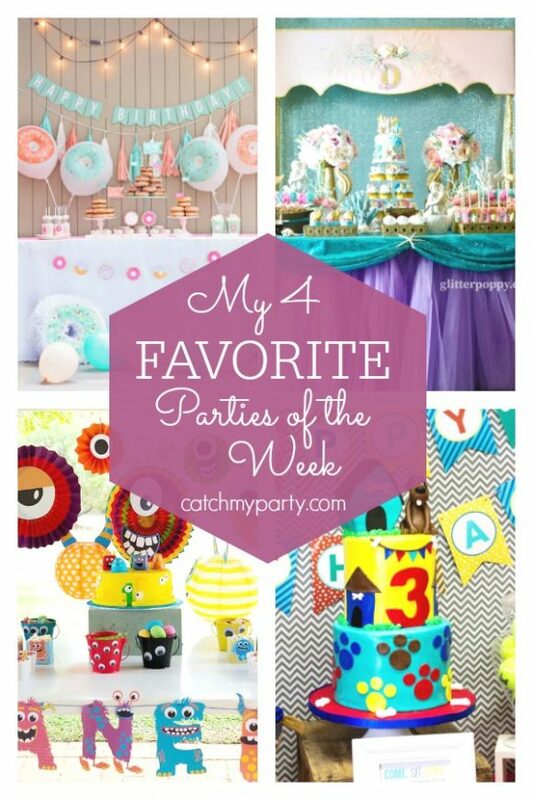 You'll find lots of fantastic party ideas! Want to See a Beautiful Fairy Birthday Party and More? Check out this magical fairy birthday party added to Catch My Party this week. 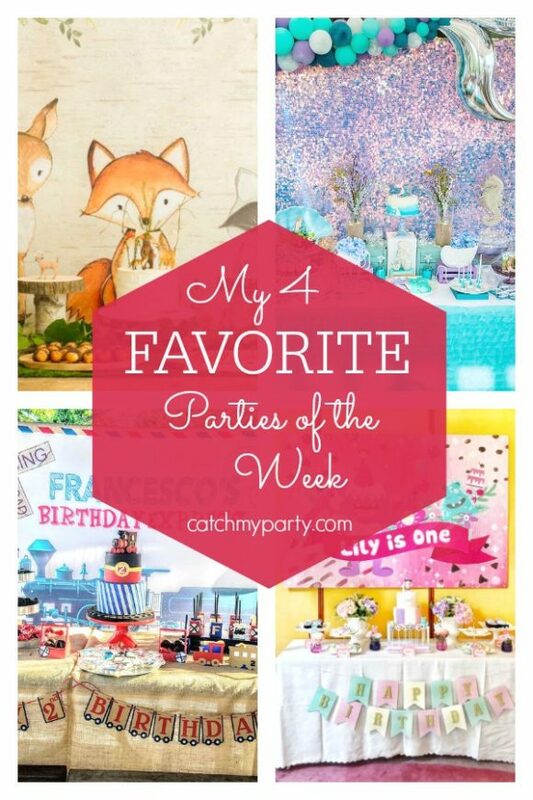 It's so gorgeous, I just had to include it in my 4 favorite parties of the week. 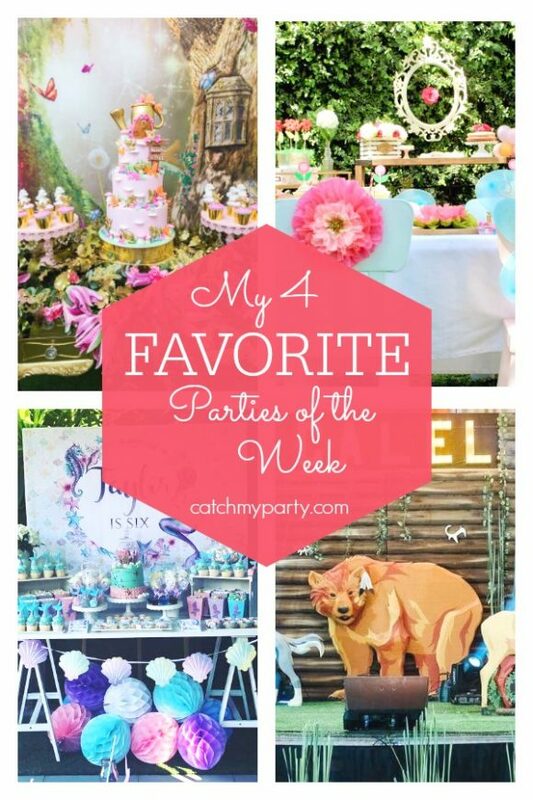 You won't believe the amazing parties that were added to Catch My Party this week! I had a tough time picking out my 4 favorites, but this stunning Under the Sea Mermaid Party just blew me away! Check out the others I've picked for you. You'll love the fabulous ideas! Video Game Birthday Party and More! I got home late last night from the BlogHerFood15 Conference in Chicago, where I was sent by Bounty as a brand ambassador (thank you, Bounty!). My bag was chuck full o' food when I got home, one of the perks of going to a food conference. Most unusual product: powdered beef gelatin in a jar. I will try it in some bone broth. Finally, finally. Now that my daughter and I have both recovered from being sick and I've returned from Bloggy Boot Camp, I'm finally able to post photos of my daughter's 4th mermaid birthday. Here is my daughter with her fairy princess hat. She debated wearing a mermaid costume, but ultimately fell in love with this dress. The face paint was of her own design. Every Friday, the children at my daughter's preschool are able to paint their own faces, hence the face painting you'll see on the other little guests.